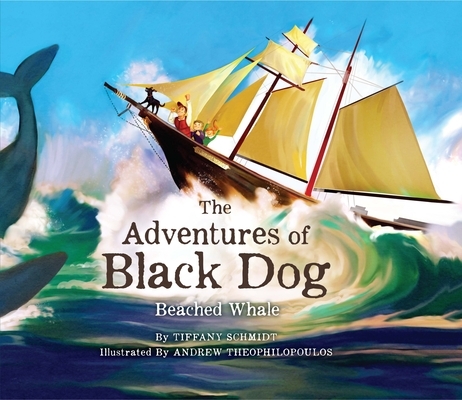 Whale is in some trouble Black Dog, Captain, Tess and Jack to the rescue From the docks of Vineyard Haven, our fearless friends come to the aid of a friend in need in this wonderful new adventure story for children. The first tale in The Adventures of Black Dog series, "Beached Whale" follows the iconic Black Dog of Martha's Vineyard as she sets sail with Captain and crew aboard the majestic tall ship schooner the Shenandoah. Black Dog and friends journey together through the islands, shores, and harbors of New England and beyond.